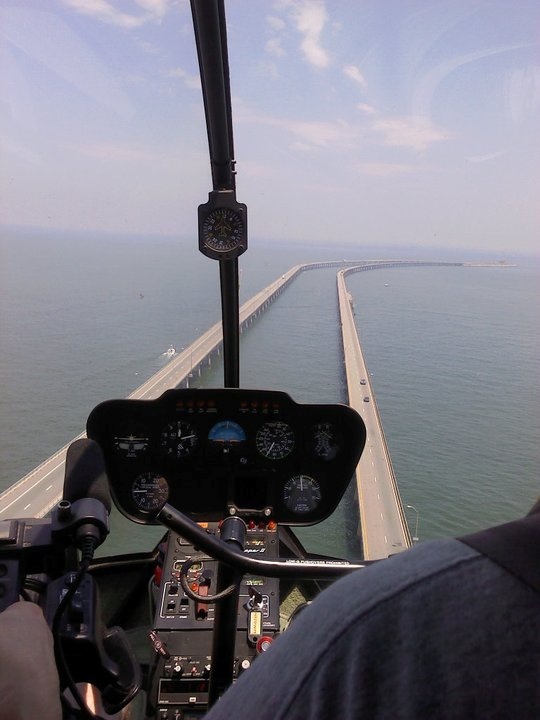 Hampton Roads Helicopters provides a variety of helicopter flight services including helicopter charter services, flight instruction, aerial photography & videography, aerial tours, special event support, and ferrying services. HRH is ideally located at the Hampton Roads Executive Airport to serve the entire Virginia Tidewater area including Chesapeake, Suffolk, Norfolk, Portsmouth, Virginia Beach, Hampton, and Newport News; however our capabilities and expertise have allowed us to serve customers up and down the entire East Coast, across the U.S., and even internationally in Canada, Mexico, Central and South America, Europe, Russia, and the Pacific. HRH is affiliated with Hampton Roads Charter Service (Certificate #H4RA894W) to provide helicopter charter flight services in the Hampton Roads area as well as up and down the East Coast, or wherever our customer’s needs take us. HRH provides all these helicopter services in the Robinson R-22 Beta II, Robinson R-44 Raven II and Clipper II, and Robinson R-66 Turbine helicopters.